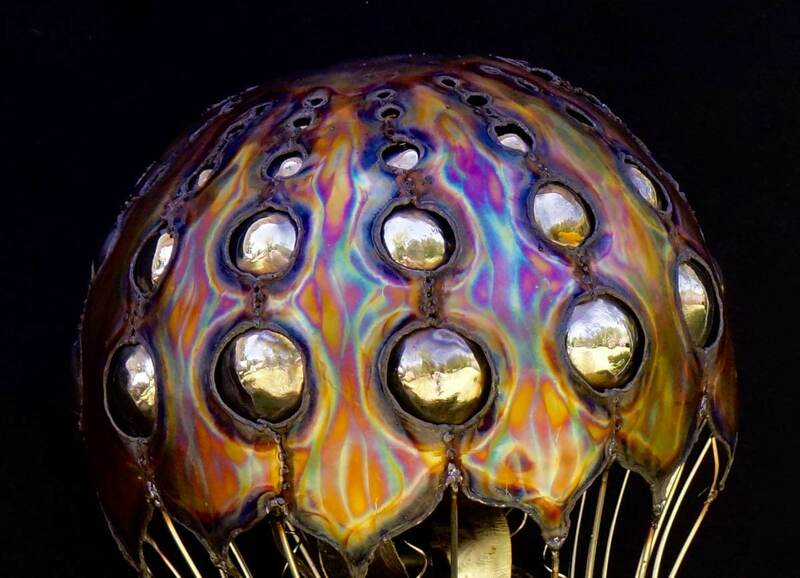 This metal jellyfish sculpture can be wall hanging or free hanging and is handmade entirely out of stainless steel and is colored using torches. 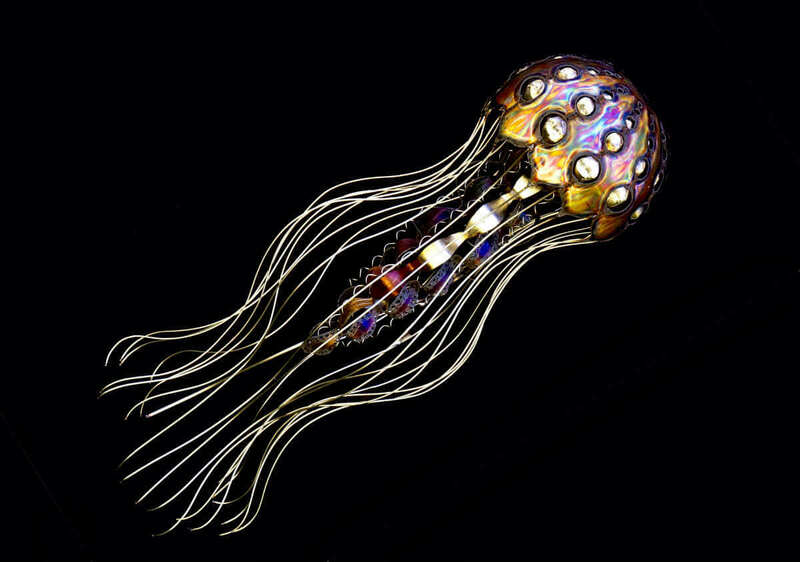 I have always been intrigued by jellyfish they seem so other worldly and embody such elegance and fluidity, and of course my favorite, repetition. This took many iterations to get to a final product that I felt happy with. It was challenging to get the head intricate but not overwhelming and to keep it bright enough. It’s also not the most simple task getting steel rods to seem weightless and fluid but hey it wouldn’t be as fun if it was all easy right? This sculpture must be kept indoors.